Frederick was born in 1866 at New Mills, Derbyshire. Frederick received a good education and became a Board School teacher, and then assistant master in the Science School at New Mills. Frederick was converted at twenty, after eight years’ drifting. He was seized with the passion to preach. After becoming a local preacher, he spent a year at Birkenhead as a hired local preacher. At Bristol, Frederick served as scripture examiner in Council schools. At Chippenham, he was president of the Liberal Association and of the Brotherhood. At Newcastle under Lyme, Frederick was elected onto the Board of Guardians. 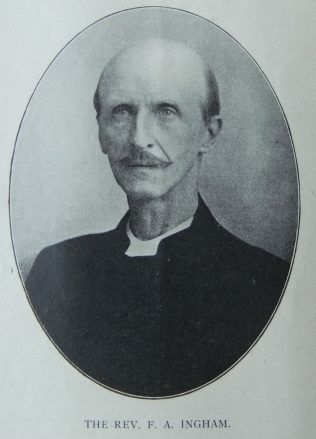 On retiring in 1935, Frederick resided at Northborough and for five years he took charge of four village churches, and continued preaching till within a few months of his death. Frederick was an excellent preacher and pastor. His people remembered with gratitude his wise council and kindly humour. His presence in the home brought even greater blessing, for he radiated good cheer and comfort wherever he went. On the practical side, he was keenly interested in the careers of young people. He would go to endless trouble, pleading their cause, interviewing employees and winning influential support for his protégés. 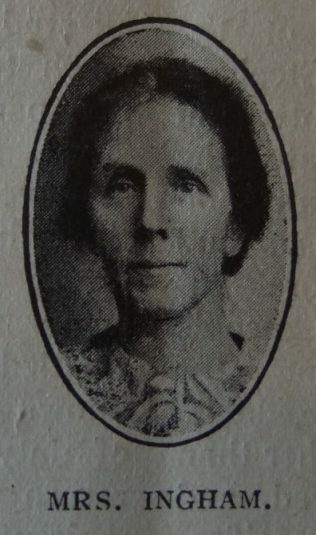 Frederick married Rachel Beswick (1875-1949) in the summer of 1899 at Longton, Staffordshire. Rachel was the daughter of Councillor James Beswick of Longton, a master potter, who gave great service to the Tunstall District. Frederick died on 5 November 1949 at Peterborough, Huntingdonshire.